I have been running my own company now for nearly 18 months and I would like to think I have made a success of it. I am not going to lie it’s been damn hard work, more than I ever imagined but I have survived my first 12 months which statistically are the hardest. There have been several highs and lows but through learning the hard way I can now share with you how I overcame the obstacles. Flexible Working – It’s not the sugar-coated thing we all aspire to have. I quit my corporate job to go freelance and build a business that could be run around my kids. I could be the one to drop them off and pick them up and we could all spend more quality time doing Mummy & Me things after school. What I didn’t take into consideration was my kids actually love nursery and afterschool club and by removing them I was actually taking them away from their routines and friends. 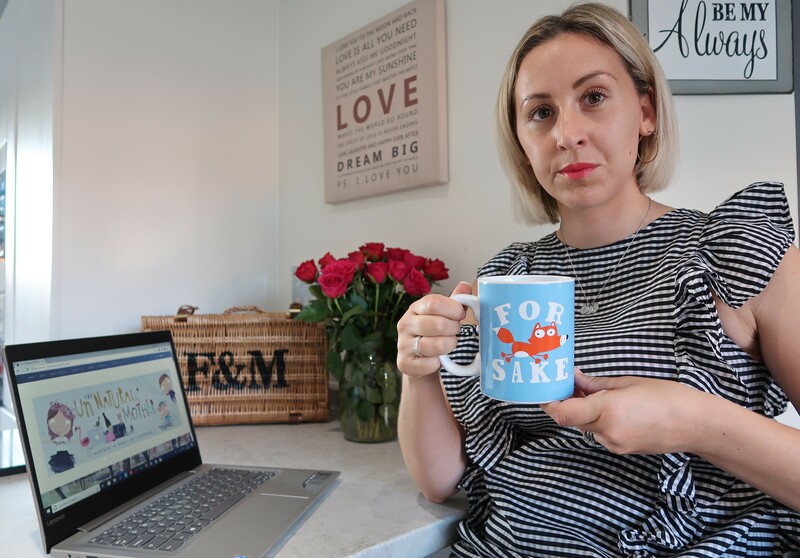 Sure I was saving money but actually, I found myself trying to build a business with grumpy children who didn’t want to do ‘ fun mummy activities’. Childcare – This brings me nicely onto childcare in its many forms. You can not run a successful company during nap time. Whether it’s a few hours a week at Nanna’s house, a nursery, taking advantage of the afterschool club or just a good friend who swoops in once a week to take your little one out to the park for a few hours. You need quiet time to concentrate on your business and make phone calls without the need to go hide in a wardrobe. Flexible working does not mean no childcare. When I first went freelance I couldn’t afford a nursery place so I excepted every offer of free childcare from friends & family I could. Hire Help – Whether the paperwork for your business is getting too much or your house needs a dam good clean, hire someone to take that issue away from you. You will be more productive as you can focus on the task at hand and think about it this way you are helping to boost the economy by giving another freelancer work. That 3 hours a week, you pay ‘the help ‘ will give you the opportunity to attend a client meeting, make 5 phone calls or pitch for 7 brand collaborations. Sometimes you have to speculate to accumulate. Believe In Yourself – There has been plenty of time I have I have doubted myself over the last 18 months but just like picking yourself up and dusting yourself off, you need to 100% believe you can be successful. Money has always been the driving force for me. My change of career didn’t mean I could afford to drop my income. Bills still needed paying. If you don’t believe in yourself, how is anyone else supposed to? Self-Care – This is definitely the one I learnt the hard way. Work, work, work may bring in the money but it very quickly starts taking its toll on your mental health. However hard it is to put down your laptop or your phone, for your own sanity you need to do it on a regular basis and enjoy some downtime. I really felt the effects of burnout after the kids went back to school in September. Having tried to juggle 2 kids in part-time childcare for 6 weeks while working full-time I hit a mental wall and fell ill, just as I took on a new client. I know we think we are superheroes and we can just soldier on but even just stopping to take a walk in the fresh air or arranging a meet up with your friends to break the cycle of work, childcare, eat & sleep. Don’t Put All Your Eggs In One Basket – Don’t get too comfy. Never stop looking for the next opportunity or new client. Business is business and sometimes even though you have delivered everything they have requested and more, clients business needs change and you may have to say goodbye a bit quicker than you had planned on. Financially always have a buffer and if the worst does happen you have some breathing space while you sign a new client up. Don’t Let People Take The Piss – They will try but make it clear from the start of your job specifics. I am all for the Richard Branson way of saying yes and working out how to do it later but don’t agree to something that will take up all of your time and is actually nothing to do with what you do. Don’t negotiate on your rates either ( not even for friends). You know your worth so stick to your guns and charge your full rate. Any client who doesn’t accept this isn’t worth having. I hope you found this post helpful. I have had several people contact me for help with making a career change and I am always happy to answer questions about my own experience. I like to be as open as I can and show you that at times it’s not a bed of roses being self-employed. "THE BEST SALES RIGHT NOW"
"The Wizard of Oz , Blackpool – Review"